Are you a medical student interested in attending the MAFP Annual Scientific Assembly? Each year MAFP seeks medical students interested in Family Medicine who can join MAFP to help with registration, events, exhibits and more at its annual meeting. In exchange for this help, the student’s rooming and meals are provided by MAFP. Each interested student must complete the application on the page linked above. Each year, the ‘Family Medicine Leads’ Scholarships are provided by the American Academy of Family Physicians Foundation. In 2017, 250 of these scholarships were awarded to attend the National Conference of Family Medicine Residents and Medical Students, held July 27-29, 2017, in Kansas City, MO. All scholarships are made possible by the donations of family physicians across the country. 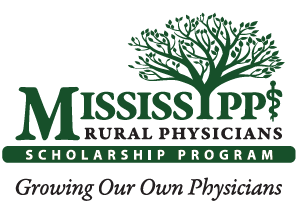 Rural Medical Scholars is a summer program for high-school students interested in pursuing a career as a family medicine physician in Mississippi. Students accepted to the program are between their junior and senior years of high school and have a minimum ACT composite score of 24. During the five-week program, students live on the Mississippi State University campus in Starkville, take two college-level pre-med courses, and have the opportunity to shadow family physicians at work. Tuition, books and room are provided at no charge to participants. Food during the program and a $100 registration fee are the only costs to the Rural Medical Scholars. The RMS program is administered by the Mississippi State University Extension Service.